If ever you need a reason to travel (not that reason is ever really needed), or simply need some direction in your travels, then let the best blossoming botanical be just that! For garden lovers and general nomads alike, traveling the world to see the gardens on this list in their prime is truly a great way to enrich your life. A Thailand vacation offers you the chance to see some of the most colorful gardens that the world has to offer, but none are more colorful than the Nong Nooch Gardens. In 1954, Mr. Pisit and Mrs. Nongnooch Tansacha purchased the grounds that has since flourished into a beautiful plot of land that is separated into many different gardens. For all your nomads that like to feel at least a little bit at home on your travels then you can rest assured that these grounds. Nong Nooch boasts an array of varying garden divisions inspired by the world’s different cultures: there is a European themed garden, a French-themed garden, a garden based around Stonehenge and a cactus garden, amongst others. It means that you are more than likely to find a hint of your home somewhere in the grounds. Being one of Thailand’s most sought after tourist attractions you should be prepared for a high number of like-minded individuals as yourself who are wanting to experience the beauty of this part of the world. Located in the heart of British Columbia, The Butchart Gardens are in an internationally renowned group of floral garden displays that should never be missed off of any garden-lovers bucket list. The picturesque gardens situated here are just waiting to take your breath away. Something that is quite amazing about this plot of land, especially in this day and age, is that is run by the same family that purchased it over 110 years ago! That fact alone tells you all you need to know about how much time and effort is dedicated to ensuring that this part of Canada is one that loved the world over. 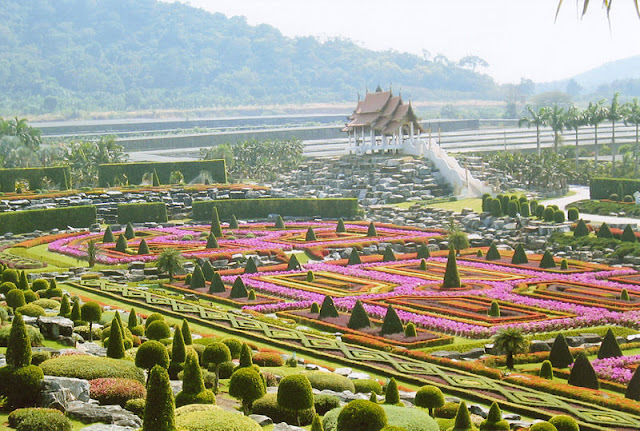 And it is because of this that, like when visiting Nong Nooch, upon a visit here you should expect it to be busy as it welcomes close to one million garden lovers each year. This traditional Japanese garden is one of the oldest that the country has to offer. It was built in the Edo Period of 1600-1867, these gardens are steeped in history, but they are just as much steeped in Japanese literature too. The garden got its name from a poem that’s theme was about enjoying pleasure and happiness; if you bare this is mind during a visit to these gardens, you’ll have the time of your life! Of course, when it comes to traveling to seeing the best botanical gardens that earth has to offer it is recommended that you visit them when they are in their prime. By this, it is meant that you take into account what season it is in the country that you are traveling. If you do that, the sights you see will truly stay with you for a lifetime.